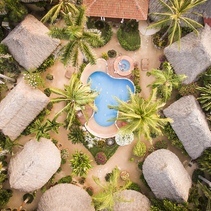 Our charming, chic hotel and yoga retreat is located on a quiet, serene beach in Playa Troncones, thirty minutes up the coast from Ixtapa, Zihuatanejo, Mexico. 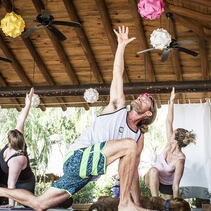 Restore in a gorgeous setting with wellness classes, yoga by the sea, meditation, qigong and dance classes. Rejuvenate with our offering of spa treatments and healing arts. Dine on mouth-watering, healthy gourmet cuisine. 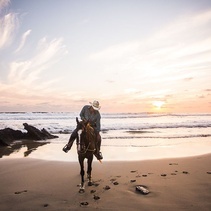 Take in the local adventures such as sunset horseback riding, eco tours, hikes to waterfalls, kayaking, surf-yoga excursions, surf lessons, shopping in our boutique, the village and more. Our beautifully designed accommodations and loving staff will please even the most discerning guests. 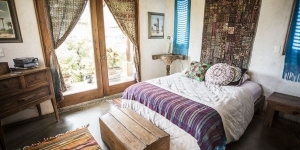 We provide a variety of hotel accommodation packages, including all-inclusive vacation packages, yoga retreats and surf retreats to suit our guests. 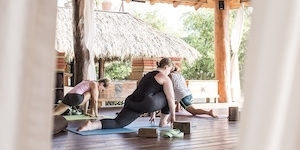 View our yoga teacher training schedule and our list of yoga retreats and other wellness retreats. If you are a surfer, enjoy our surf vacation packages. 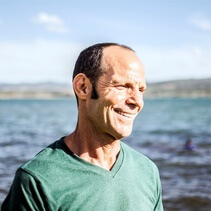 On this page you will find information about what Present Moment Retreat is and what we believe. Simply put, we are a Boutique Hotel and Retreat Center on the beach in Mexico… but it goes far beyond that. 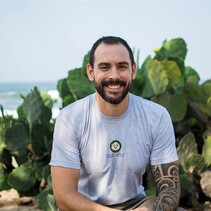 Here you will find a list of guiding principles and beliefs that help shape our decisions and growth including our mission, philosophies, and environmental practices. Many wonderful activities await you at Present Moment Retreat. We have a gourmet restaurant, a boutique with an amazing collection of jewelry from around the world, and a breathtaking yoga pavilion, all of which are centered around an amazing pool on the ocean. There are yoga classes, dance and meditation classes and live music on certain nights. The secret of Present Moment’s success is not a secret! All the credit is due to our amazing staff. They come from all over planet and they truly care about making Present Moment the best it can be. In fact, even calling them our staff doesn’t feel right. They are more than that, they’re our heartbeat, our rhythm, our family. 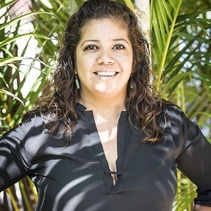 At the heart of charming Troncones Beach, nestled between the lush mountains of the Sierra Madre and the sparkling Mexican Riviera, Present Moment Retreat combines the ambience of nature’s grandeur with personally challenging mind-body work, set in harmony on beautifully landscaped tropical grounds. If you have any questions, concerns, doubts, desires, or if you just want to chat, we would love to hear from you. Talk to you soon! We wish to thank our wonderful clients for their continued support over the years. Your amazing, uplifted and positive energy has been such a blessing on so many levels. We are eternally grateful… Namaste. The feedback that we have received warms our hearts every time that we read it. You’re the best!